Do you need to set up Google Ads conversion tracking for WooCommerce? 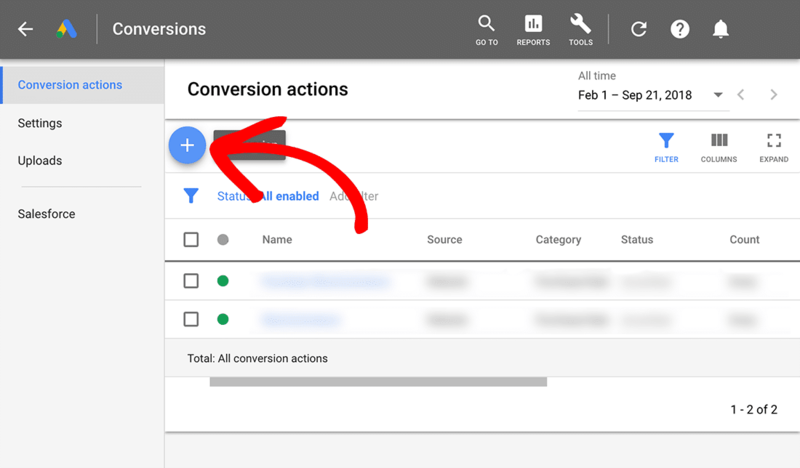 MonsterInsights easily sets up your eCommerce Analytics tracking for WooCommerce, but setting up your Google Ads conversion tracking can be a bit tricky. In this guide, we’ll show you how to do this with a plugin. You’ve already set up a Google Ads account. Third, you’ve set up the MonsterInsights Pro Tier with eCommerce Tracking. 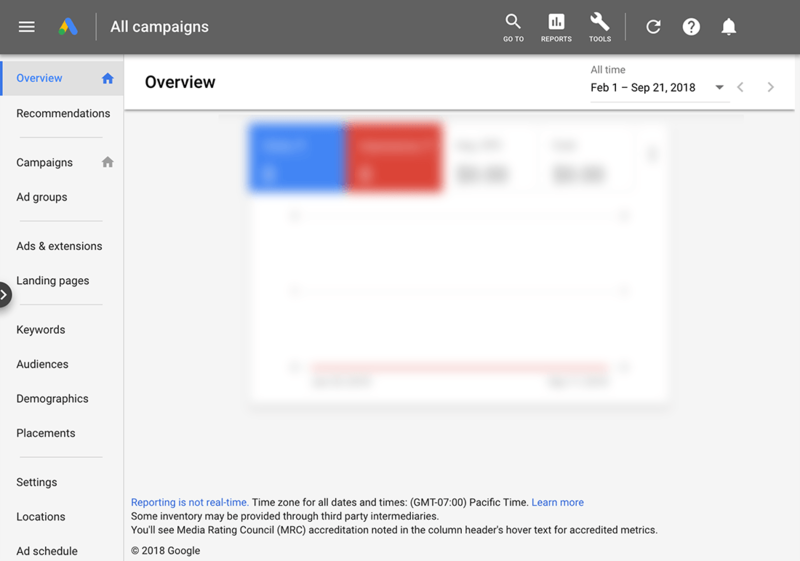 Next, you have connected MonsterInsights to Google Analytics (so you can track the results). 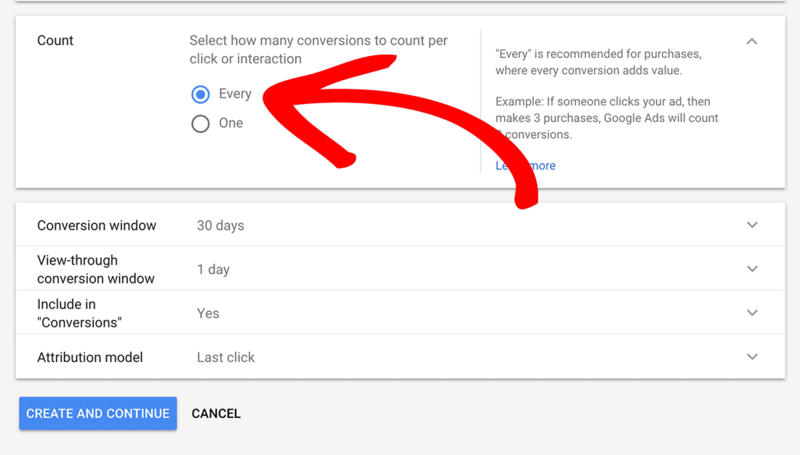 Finally, you’ve connected your Google Analytics account to your Google Ads account. 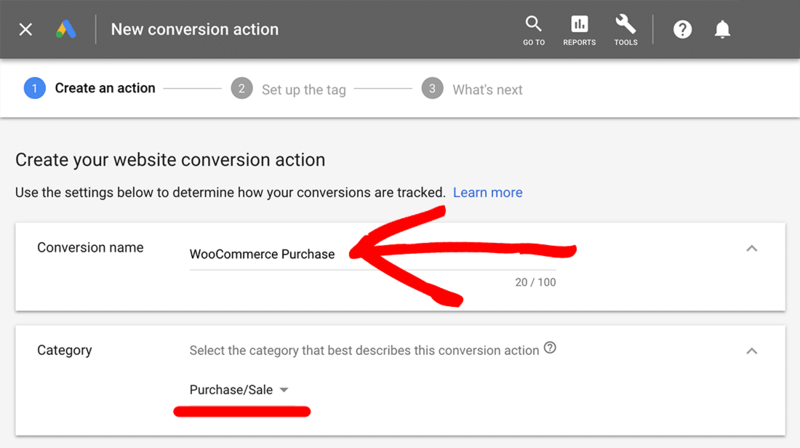 Now That You’ve Completed the Prerequisites, We’ll Show You How to Set Up Google Ads Conversion Tracking with WooCommerce. Step 1: Navigate to ads.google.com and login to your account. Step 2: Click Tools » Conversions (under the Measurement menu item). Step 5: Set the Conversion name to something obvious. Step 6: Set the Category to Purchase/Sale. Step 7: Set the Value to Don’t use a value. Step 7: Set the Count to Every. Step 8: Click Create and Continue. 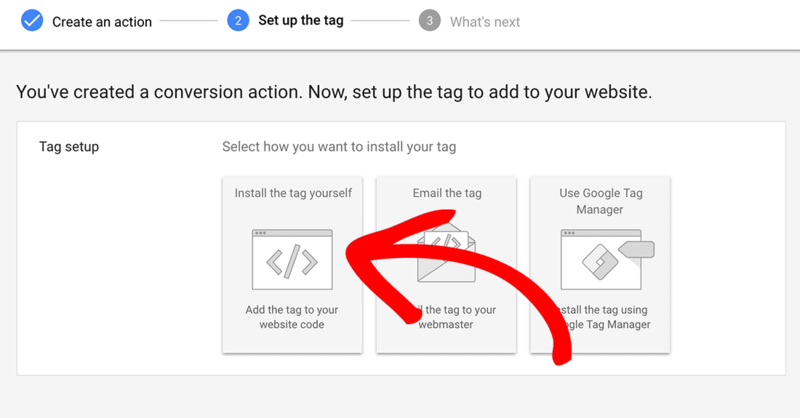 Step 9: On the next page click Install the Tag Yourself. Step 10: When this browser tab goes to the next screen, leave that tab open. In a new browser tab, navigate to your WordPress site, log in and install and activate the plugin we’re going to use for conversion tracking: WooCommerce Conversion Tracking. If you need instructions for how to install a plugin in WordPress, click here. This is a code unique to your Google Ads account so you need to copy it exactly. That’s it! Now you know how to set up Google Ads conversion tracking for WooCommerce. Are you interested in learning how to link Google Analytics with Google Ads Reports? Please see our Step by Step Guide.